Danny Wilson explains the symptoms, prevention techniques and rehabilitation process for David Haye’s injured Achilles. WBC cruiserweight champion Tony Bellew shocked many boxing fans and pundits when he produced a stunning upset by beating David Haye via a 11th round technical knockout. As many deemed this a rematch, the two bitter rivals were part of a thrilling heavyweight contest in front of a packed O2 arena and thousands tuning in to Sky Box Office. The fight was pretty even before the sixth round when it swayed towards Bellew’s favour as the underdog took advantage of Haye suffering an Achilles tendon rupture. Knocked down in the sixth and hobbling around the ring, Haye showed true grit and determination to last until the 11th round where Bellew’s pressure led to Haye’s coach, Shane McGuigan, throw in the towel. Boxing Science will now look into the possible reasons for the injury, and how it can be prevented and treated. So what is Haye’s Injury? An Achilles tendon rupture is when you partially, or completely tear the tissue that connects your calf muscle to your heel bone. The gap in the tendon can be 4 to 5 cm, which causes a sudden sharp pain and a loud snapping noise. 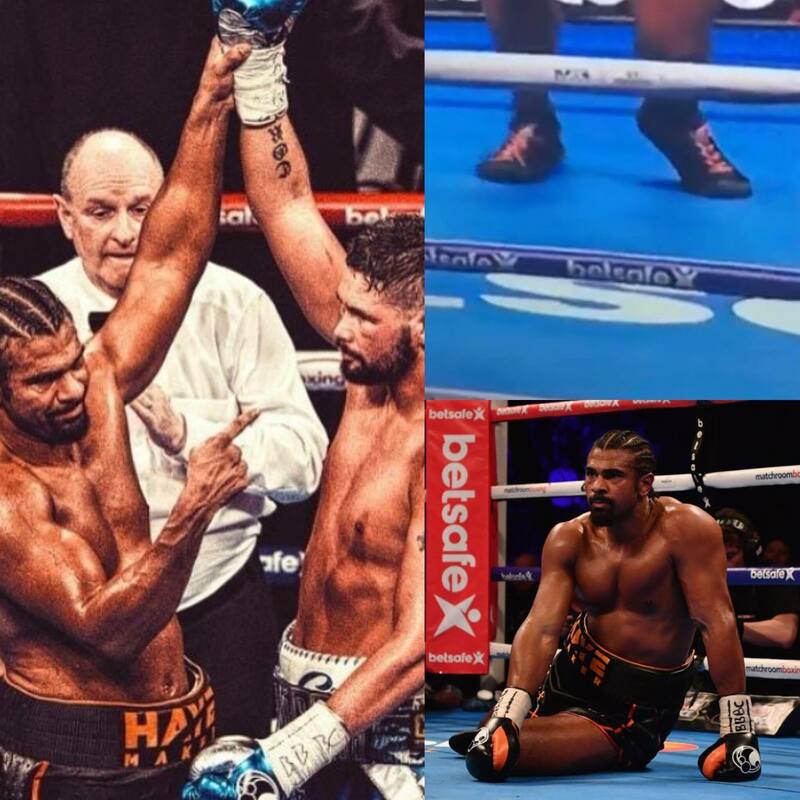 The gap can be felt, movement is extremely restricted and the pain can be immense in the initial stages, which reduces with swelling and other muscles compensating – hence why Haye was walking better with the injury after 2-3 rounds. Pushing off the weight-bearing foot with the knee extended, unexpected dorsiflexion of the ankle, and violent dorsiflexion of a plantar flexed ankle are the usually reported mechanisms for Achilles tendon rupture. This can happen suddenly, but Achilles tendon health can be degenerated over time through a series of different causes. A sharp increase in training load could have occurred if Haye wasn’t training prior to the fight announcement. Kickstarting his training camp in Miami may have caused a lot of stress on the tendon. This may have been an issue he’s had for use just due to how much he has put his body through over the years. Haye was moving well during a Yoga session in the pre-fight build up. However, in the fight the external rotation of his right foot was excessive, suggesting tight hip flexors / adductor muscle complex. This tightness creates more stress on the calf muscles, and in turn, creates tightness in the achilles tendon. Achilles tendon ruptures are most common in men over 30 years old. With Haye increasing his training intensity at 36 years old could be a huge contributing factor. The reason for this is due to the fascial tissues in younger people show stronger collagen architecture that can help support tendons and ligaments during high-intensity movements. Collagen – the main structural protein in the extracellular space in the various connective tissues in our body, helps muscle, tendon, bone and ligament health. Fascia – is a band or sheet of connective tissue, primarily collagen, beneath the skin that attaches, stabilises, encloses, and separates muscles and other internal organs. David Haye is now operating at a stone heavier compared to his fighting weight for Derek Chisora in 2012. Furthermore, this could mean that his body mass during training camp could’ve been even heavier before he stripped off the muscle mass. Let’s say he starts training camp towards 17 stone, this could put a lot of pressure on tendons and ligaments during intense training. How can we reduce the likelihood of Achilles injuries? Injuries happen, and sometimes cannot be prevented. However, there are steps we can take to reduce the likelihood of suffering an Achilles injury. The main objectives would be to improve mobility, tendon elasticity and strength; there are a few specific ways we can do this to protect the Achilles tendon. Plyometric training can strengthen tendons and improve their elasticity. This can help improve strength and speed, as well as reducing injury. 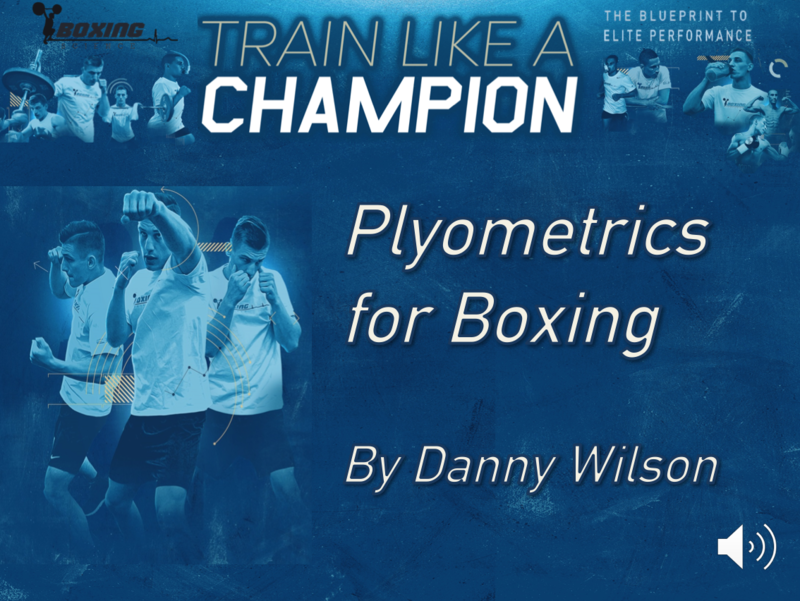 Want to know more about Plyometrics? Seems pretty straight forward, but getting stronger can help athletes become more robust to injuries. The better the muscle functions and less muscular imbalances, the less stress caused on ligaments and tendons. Also, weight training helps increase tendon strength due to the mechanical forces placed on the tissue during exercise. A controlled overload on the tendon tissue creates an adaptation for it to become stronger. Need help with the big lifts? Access Boxing Science Coaching Videos for just FIVE POUNDS. Strengthening the ankle plantar flexors has also been linked to the prevention of Achilles tendon rupture. These are the gastrocnemius medial head, gastrocnemius lateral head, soleus, plantaris, tibialis posterior. In our experience, these muscles are often pretty tight and overactive for boxers, which can cause extra stress on the achilles tendon. Therefore, training should aim to improve mobility and function of the plantar-flexors. Here is an exercise we put in every warm-up that can help. Furthermore, these imbalances maybe due to tightness in other muscles and the muscle fascia. As mentioned perviously, Haye’s trail leg was externally rotated that could case more tension through the achilles tendon. This means that athletes should mobilise the whole-body to help reduce the likelihood of injury. This can be achieved through dynamic stretching, myo-fascial release through massage / foam rolling, proprioception and animal flow. Click here for Three Ways to Improve Movement and Mobility. Managing your training load is one of the most important tasks for athletes as it can help improve performance and reduce the likelihood of injury. Too much training volume and/or high monotony levels are where most athletes stagnate, become overtrained or become rundown. Athletes and their coaches need to manipulate training type, volume and intensity to alter the training load phase by phase, week by week and even day by day. Need help with more monitoring tools? You can learn more in Danny Wilson’s presentation for the Combat Conditioning Online Conference – Coming May 2017. SIGN UP HERE to join our VIP list to receive the early-bird discount and a bunch of free products. It is likely that Haye will be out for 6-12 months. At the age of 36, many people will wonder whether this is the end of his career. However, with a lucrative rematch and the possibility of being in some top heavyweight match-ups, Haye may choose to go through some intensive rehabilitation. He has already gone through surgery, so his foot will be in a cast for 6-8 weeks. During this time, Haye should focus on retaining core and lower-body muscle mass as much as possible. Once the cast is off, Haye would look to steadily strengthen and mobilise his Achilles tendon and Calf muscles. Due to the lack of loading, Haye could opt to use Occlusion training whilst doing machine resistance training. This method that restricts blood flow to the working muscles, helping induce muscular hypertrophy at lower external work loads. In terms of conditioning, Haye could start on upper body cycles or seated battle rope work before moving onto exercise bikes. When able, Haye should start with low-speed running with the training load controlled. Simulated Altitude training, anti-gravity treadmills and heat training can help increase the internal load whilst reducing the external load on muscles, tendons and ligaments. We wish David well in his recovery, and a massive congratulations to Tony Bellew on his win. A bitter rivalry sorted out in the ring, that’s what this sport is about! The Boxing Science ‘Accelerated Performance Series’ is BACK …… BIGGER and BETTER than ever before! APS is a series of FREE weekly newsletters that will give you tips and guidance to help broaden your sport science knowledge to apply to your Boxing and Combat Sport programs. Take a look what we will cover…..